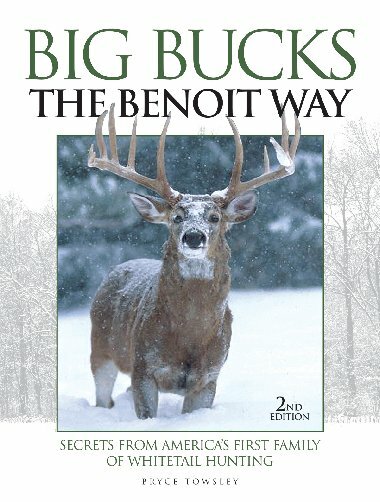 Hundreds of new color photos.Large bonus chapter detailing how the Benoits are shooting the biggest bucks of their life.New introductionNew forward by the NRA’s John ZentMy first book was Big Bucks The Benoit Way, published in 1998. It went on to be the best selling whitetail book ever and it remained in print for more than ten years, which is a long time in the hunting book world.But when new owners took over the publishing company, they decided it was too long. The book was still selling very well, better than some of the new titles they published, but I guess they wanted a fresh look and they took it out of print.Almost immediately, one of their acquisition editors, Derrek Sigler, contacted me about doing a revised edition. It took a while to hammer out the details and the contract, but in the end we had a plan. I got with the Benoits for new photos and to gather information for a big bonus chapter. Then I called my friend John Zent, who is the Publications Director for the National Rifle Association and asked him to write a new foreword. The result is Big Bucks The Benoit Way Volume II. This contains all the original text from Big Bucks The Benoit Way as well as a 7,000 word bonus chapter. There is a new introduction and the forward by John Zent. Unlike the first book, which used black and white photos, this edition has all color photos and most of them are new. This book brings you up to date on what the Benoits have been doing for the past decade. The bonus chapter is titled “Hunt Smarter Not Harder” and it explains how the Benoits are dealing with aging bodies and changing weather patterns that often leave them hunting on bare ground. It explains how and why they are shooting the biggest whitetail bucks of their lifetime. The book is full of photos of huge whitetails and there are some up to date photos of Larry Benoit. Now well into his eighties, he is still shooting big whitetail bucks every year.